Willis Linn Jepson encountered a squat shrub while he was collecting botanical specimens on California’s Mount Tamalpais in the fall of 1936. He trimmed off a few branches and jotted down the location along the ridge trail where the manzanita grew, 2,255 feet above sea level. The desiccated specimen is now part of an herbarium here that’s named for the famed botanist. It was among hundreds of thousands of specimens of thousands of different species that were used recently to track the movement of plant species up the state’s many hills. The results of the analysis warn that native plants are struggling to keep up with changes around them as pollution from fuel burning and deforestation continues to warm the planet. Earlier research into the movement of Californian animals shows they’re shifting more quickly than the native plants. 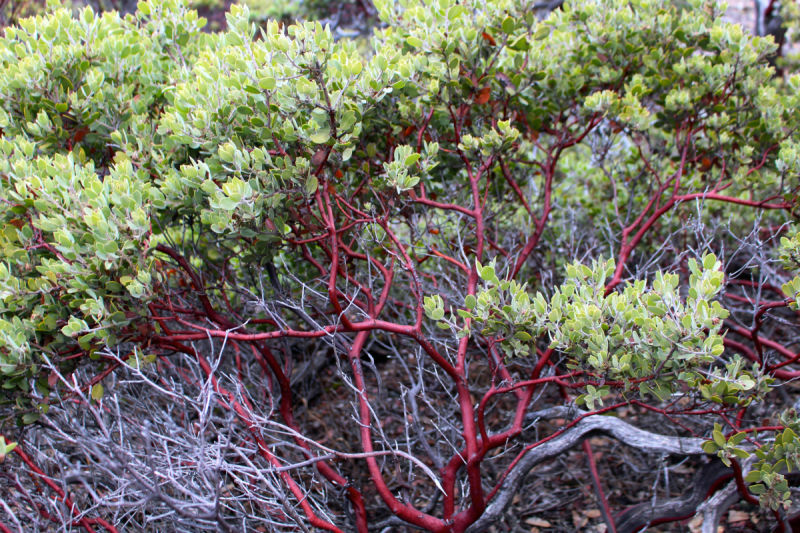 They discovered that the range of the Eastwood's manzanita, which was the type of plant Jepson trimmed on the mountain trail in 1936, hasn’t budged — even as temperatures have risen around it. More warming is anticipated in the years and decades ahead, yet ecologists remain unsure how wildlife will be affected. The discovery that the Eastwood's manzanita range has been locked in its original range “raises questions” about whether it will be able to adapt as the climate changes around it, Christensen said. “Plants and animals aren’t moving together in sync,” University of Connecticut ornithologist Morgan Tingley, who has studied the shifting ranges of native birds in parts of California, said after reading the new paper. “There’s a legitimate concern that many plant species are simply not evolved to be able to shift their population distributions as fast as the current climate-change event will require,” said Park Williams, a bioclimatologist at the Lamont-Doherty Earth Observatory. Williams described the new paper, with which he was not involved, as the “culmination of an incredible amount of work.” He said its conclusions are also “broadly relevant” outside California. About a quarter of more than 2 million specimens stored in manilla folders in long rows of tall cabinets in a large herbarium at the University of California, Berkeley have been digitized so far. “Big data is a big thing on our campus,” said Brent Mishler, a biology professor who oversees the collection. The analysis of the big herbarium data showed small-seeded native plant species, such as grasses, are moving more quickly and more often up California’s hills than those with larger seeds — such as manzanita. Small seeds travel further than large ones, making it easier for those types of plants to spread. Unwanted weeds aren’t necessarily growing their Californian footprints because of climate change, although it may be helping some of them. Many would still be conquering new territory as they continued to invade after finding footholds in the state in decades past, regardless of climatic changes.